South Africa's youth must be placed at the centre of economic transformation, which is the focus of the new term of government. 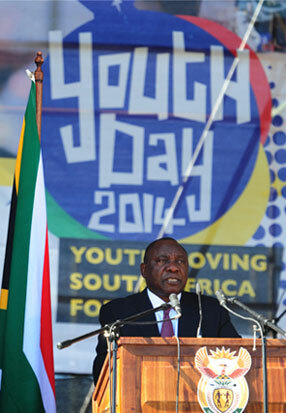 This is according to Deputy President Cyril Ramaphosa, who was speaking at the Galeshewe Stadium in Kimberley for the National Youth Day celebrations on 16 June. He insisted that if the country could effectively address youth unemployment, not only would it lift millions of South Africans out of poverty, but it would also place the economy on a trajectory of sustainable, inclusive growth. He noted that even though youth economic participation had improved in absolute terms since 1994, and while over the last 20 years government had created many opportunities, the youth still faced immense challenges. There was a need to focus on special measures to ensure that South Africa’s youth have access to training, work experience, jobs and entrepreneurial opportunities. “Nearly half of the six million work opportunities created through public works and community work programmes were for young people. In the last five years, R2,7 billion has been set aside for youth entrepreneurship finance and support. The amount of student bursaries has doubled,” the Deputy President highlighted. He stressed the need to do more, saying sharper focus, better implementation and greater urgency were required. The purpose of the Minister’s visit was to commemorate and consolidate relations between South Africa and the Islamic Republic of Iran, which dates back to pre-1994 and to a period when the Islamic Republic supported South Africa’s liberation movement and struggle against apartheid. The Minister of International Relations and Cooperation, Maite Nkoana-Mashabane, has concluded a successful, two-day Working Visit to Tehran, the Islamic Republic of Iran. To mark the 20th anniversary of South Africa’s freedom, the Minister participated in a seminar hosted by the South African Embassy, in conjunction with the Centre for International Studies and Research in Tehran. The Minister delivered a keynote address on 16 June 2014, under the theme: “20 Years of South Africa’s Freedom and Relations between South Africa and the Islamic Republic of Iran”. During her address, the Minister stated that: “The year 2014 truly presents a momentous occasion for us as a unified nation to reflect on how freedom and democracy were achieved, the progress we have made thus far, and how we as South Africans are going to work together to implement Vision 2030”. While in Tehran, Minister Nkoana-Mashabane met with her Iranian counterpart, Dr Mohammad Javad Zarif, Minister of Foreign Affairs. Minister Nkoana-Mashabane stated that there was a South African business delegation in Tehran organised by the South African Government. “Their presence is a sign of growing bilateral economic relations between our two countries,” said Minister Nkoana-Mashabane. The two ministers also had an opportunity to discuss developments in their respective countries and regions. On the multilateral front, the two ministers discussed the need to strengthen South-South cooperation in the field of development, peace and security. In this regard, Minister Nkoana-Mashabane reiterated South Africa’s support for President Rouhani’s initiative that was tabled at the 68th Session of the United Nations General Assembly, calling for a dialogue against violence and extremism. With regard to Iran’s nuclear programme, Minister Nkoana-Mashabane stated that South Africa welcomed the continued negotiations between the P5 (Permanent Members of the United Nations Security Council) and Iran and hoped that the final outcome would be fair and just and lead to the lifting of international sanctions. 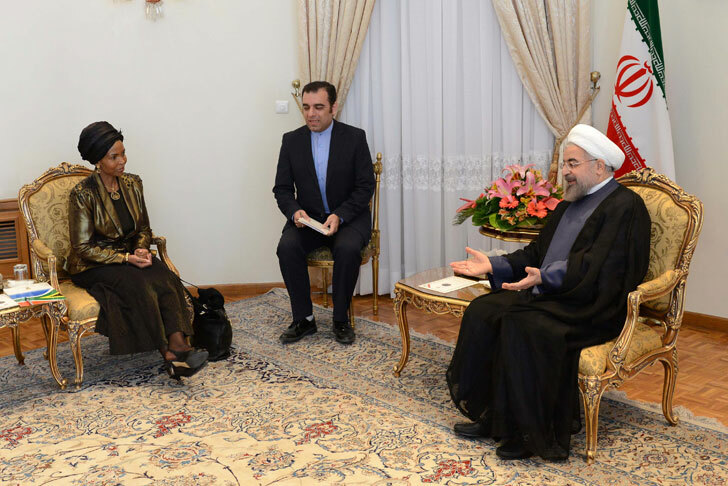 The Minister also paid a courtesy call on the President of the Islamic Republic of Iran, Dr Hassan Rouhani. 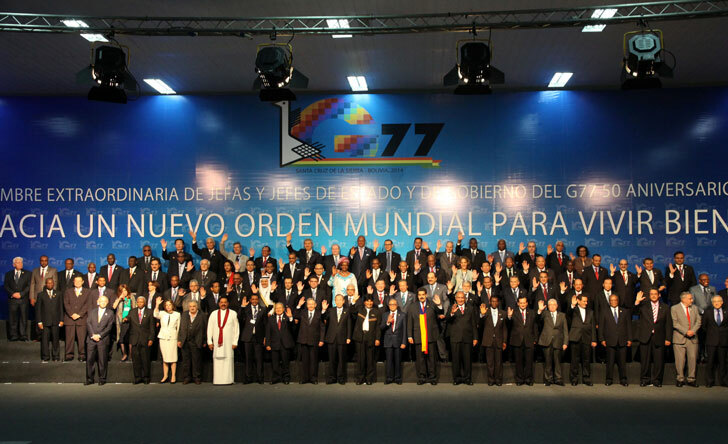 The Group of 77 (G77) was established on 15 June 1964 by 77 developing countries, signatories of the “Joint Declaration of the Seventy-Seven Developing Countries” issued at the end of the First Session of the United Nations (UN) Conference on Trade and Development, held in Geneva, Switzerland. The Deputy Minister of International Relations and Cooperation, Lluwellyn Landers, led the South African delegation to the two-day Summit on the 50th Anniversary of the G77 and China, which took place in Santa Cruz, Bolivia, from 14 to 15 June 2014. Although the members of the G-77 have increased to 133 countries, including China as the associate member, the original name was retained due to its historic significance. The G77 and China is the largest intergovernmental organisation of developing countries in the UN system, and it provides the means for countries of the South to promote their collective economic interests, enhance their joint negotiating capacity on all major international economic issues within the UN system and promote South-South cooperation. As a member of the G77 and China, South Africa participates in the work of the group to ensure its strength, unity and cohesion in pursuance of the vision of a fair and equitable multilateral system. The meeting included the national executive who recently took office. The first Cabinet Lekgotla for the new administration, was held last week at Sefako Makgatho Presidential Guest House, in Pretoria. The meeting mapped the programme of action for the year, which was outlined by President Jacob Zuma in the State of the Nation Address on 17 June. Following his release from hospital, President Jacob Zuma did not attend the meeting as he continued to rest at home. The meeting was chaired by Deputy President Cyril Ramaphosa. Speaking shortly before the start of the meeting, Minister in The Presidency, Jeff Radebe, told reporters the main items on the agenda were the Medium Term Strategic Framework, the National Development Plan (NDP) as well as the current mining strike in the platinum belt. The agreement was signed in Pretoria by Finance Minister Nhlanhla Nene and United States Ambassador to South Africa Patrick Gaspard. On 9 June, South Africa and the United States (US) agreed to put into effect the Foreign Account Tax Compliance Act (Fatca), the SA Revenue Service (Sars) and US Embassy said. "This agreement promotes transparency between the two nations on tax matters and furthermore underscores growing international cooperation in the endeavour to end tax evasion worldwide," the two parties said in a joint statement. The US enacted Fatca in 2010 to curtail offshore tax evasion by encouraging transparency and obtaining information on accounts held by US citizens in other countries. Under Fatca, foreign financial institutions should provide the US Internal Revenue Service with information about US account holders annually. Failing this, a 30% withholding tax would be imposed on the foreign financial institution with regard to certain US source payments, such as interest. "The withholding tax is, however, waived if foreign financial institutions enter into disclosure compliance agreements with the US Treasury," they said. In July 2012, the US introduced the option of a country entering into an intergovernmental agreement, which alleviated the need for financial institutions to enter directly into an agreement with the United States. 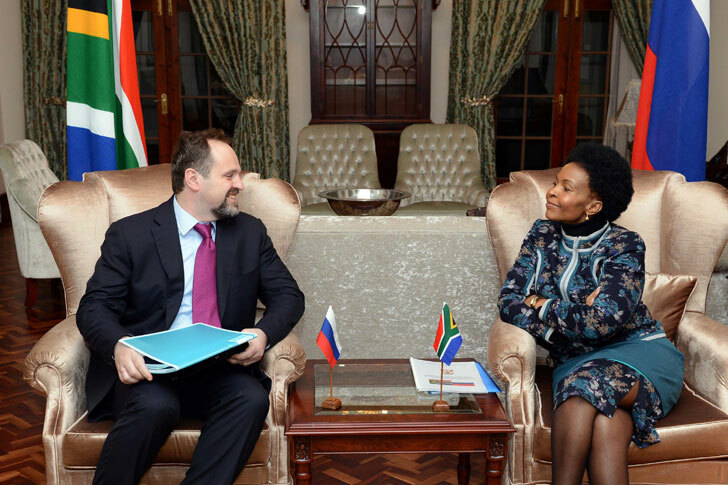 Minister Maite Nkoana-Mashabane meets with Russian Minister of Natural Resources, Sergey Donskoy, Pretoria, South Africa, 12 June 2014. This year marks the 22nd anniversary of bilateral relations between South Africa and the Russian Federation – relations that have developed well since their establishment in the early nineties. South Africa raised a toast to the prosperity of the Government and the people of the Russian Federation, as well as the friendship between the two nations at an event to mark Russia National Day in Pretoria on Wednesday, 11 June. The Russian Federation celebrated its National Day on 12 June. “It is a pleasure and great honour for me to convey to you our warmest greetings and congratulations to the Government and the people of the Russian Federation on the celebration of your national day,” said Nebo Legoabe, Deputy Director-General at the Department of Communications and DCEO Intergovernmental Coordination and Stakeholder Management at GCIS, who was representing the Minister of Communications, Faith Muthambi, at the event. “South Africa continues to value its strategic partnership with Russia, the profile and content of which has been enhanced by high-level engagements, especially President [Vladimir] Putin’s Working Visit to Durban in March 2013 and President [Jacob] Zuma’s Working Visit to Sochi in May 2013 and his attendance of the G20 Summit in St Petersburg in September 2013. She said South Africa and Russia continued to build on areas of cooperation within the context of the BRICS grouping, together with Brazil, China and India. This year’s convention focused its discussion on the theme “Youth with Disabilities”. The Deputy Minister of Social Development, Hendrietta Bogopane-Zulu, attended the Seventh Session of the Conference of States Parties to the Convention on the Rights of Persons with Disabilities in New York, from 10 to 12 June. 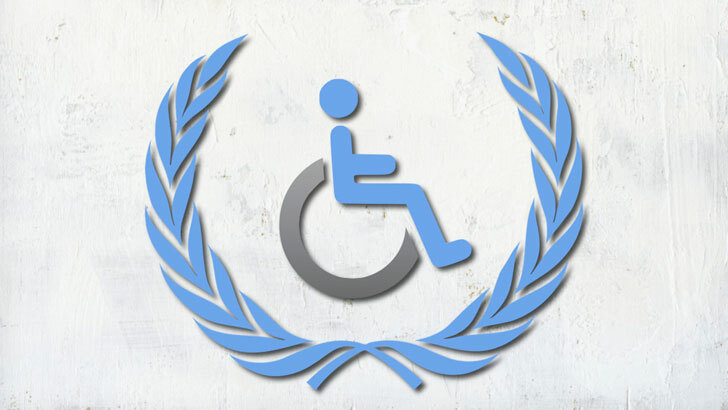 The commitment of the international community to the advancement of the rights of persons with disabilities and their inclusion in society and development is deeply rooted in the goals of the United Nations (UN), as enshrined in the preamble of the Charter of the UN, which refers to fundamental human rights, the dignity and worth of the human person and the promotion of better standards of life in larger freedom. The Convention enjoys almost universal application with 166 states that are party to the Convention. South Africa became a party to the Convention in December 1997. The South African Government through its Permanent Mission to the United Nations (UN) recently announced the successful re-election of Judge Albert Hoffmann to the International Tribunal for the Law of the Sea. The Convention (commonly referred to as the “Constitution for Oceans”) is a multilateral treaty governing the world’s oceans and seas and seeks to regulate all aspects relating to ocean space, including maritime zones, shipping and navigation, sustainable utilisation of natural resources, marine pollution, research and the conservation and the preservation of the marine environment. The International Tribunal for the Law of the Sea is an independent judicial body established under Part XV of the Convention for the settlement of disputes between States concerning the interpretation and application of the Convention. The Tribunal is composed of 21 judges elected from among persons enjoying the highest reputation of fairness and integrity and of recognised competence in the field of the Law of the Sea. 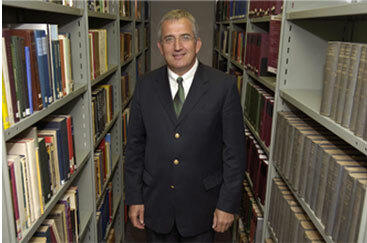 Judges are also representative of the principal legal systems of the world. During the recent elections, Judge Hoffmann obtained the highest number of votes (154 of 156 States present and voting) and will serve on the Tribunal for a further period of nine years. Aptly titled “Media Sensitisation Workshop on Climate-Smart Agriculture”, the meeting provided a space for journalists to share ideas and views on how climate change and agriculture matters can be given more clout in the media landscape. The Southern African Development Community (SADC) Secretariat hosted its first-ever workshop to train journalists in the region to enhance reporting on climate-smart agriculture. The two-day workshop opened on 10 June in Malawi – the chair of the SADC – with over 20 journalists from countries such as Swaziland, Mozambique and South Africa in attendance. Organisers said the workshop was opportune, as there was a growing need for access to knowledge related to climate-smart agriculture. As part of a broader strategy, the SADC Secretariat is jointly implementing a five-year programme on Climate Change Adaptation and Mitigation in the Eastern and Southern Region with the Common Market for Eastern and Southern Africa (Comesa) and East African Community (EAC). Minister Nene welcomed the support from the German Government and said he was looking forward to the successful implementation of the cooperation which is aligned to the priorities of South Africa as articulated in the National Development Plan. 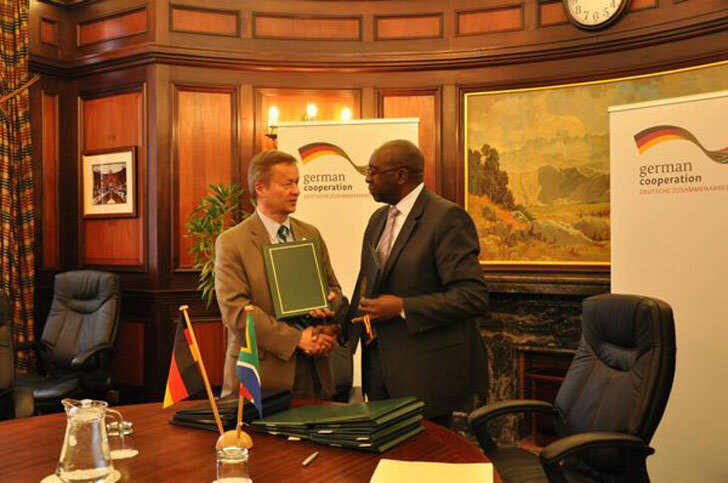 South African Minister of Finance, Nhlanhla Nene, and German Ambassador, Dr Horst Freitag, recently signed five agreements to the amount of 414,26 million euro (approximately R5,89 billion) for development cooperation between South Africa and Germany. 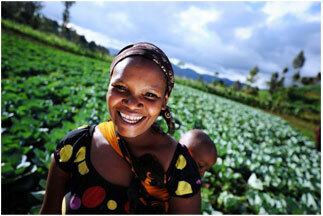 Development cooperation between the Government of South Africa and the Federal Republic of Germany dates back to 1992. To date, the financial and technical contribution from the Government of Germany to South Africa is just over R14,4 billion, which includes the allocation from the last round of government-to-government negotiations held in 2012. This amount has gone towards empowering people, transfer of skills and building of institutional capabilities. The relationship between the two partners is based on support and solidarity. Over the last 20 years, bilateral cooperation has matured into a partnership, where Germany supports South African priorities. The partnership is focused on the areas of Energy and Climate Change, HIV and AIDS Prevention and Good Governance, which includes violence prevention and trilateral cooperation. The report predicts 3G technology will become the dominant technology across the region by 2017, outstripping 2G to become the region's dominant form of mobile connection. Voice-call traffic is to double and mobile Internet usage is expected to increase 20 times between 2013 and 2019 in Sub-Saharan Africa, twice the anticipated global expansion, Swedish company Ericsson says in its latest mobility report for the region. The rapid growth of 3G and 4G technology across the region follows the recent launch of under-$50 smartphones, Ericsson says in its June 2014 Sub-Saharan Africa Mobility report, released recently. The popularity of social media, content-rich apps and video content accessed from these cheaper smartphones has also contributed to the growth. Consumers in Kenya, South Africa and Nigeria are increasingly using video TV and media services from their smartphones, the report says. 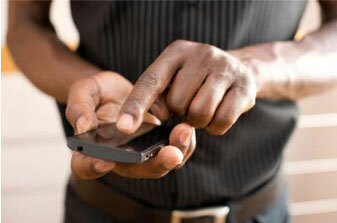 Sub-Saharan Africa’s mobile penetration of 70% is fast approaching the global rate of 92%, Ericsson says. The report predicts that 75% of mobile subscriptions will be Internet-inclusive (3G or 4G) by 2019. The companies exhibited boat models, engines and engine systems, marine equipment and accessories, and related engineering and manufacturing services in a National Pavilion managed by the Department of Trade and Industry (dti). South Africa showed off its boat manufacturing capabilities with five local companies participating in the Korea International Boat Show, in Goyang, South Korea, last weekend. 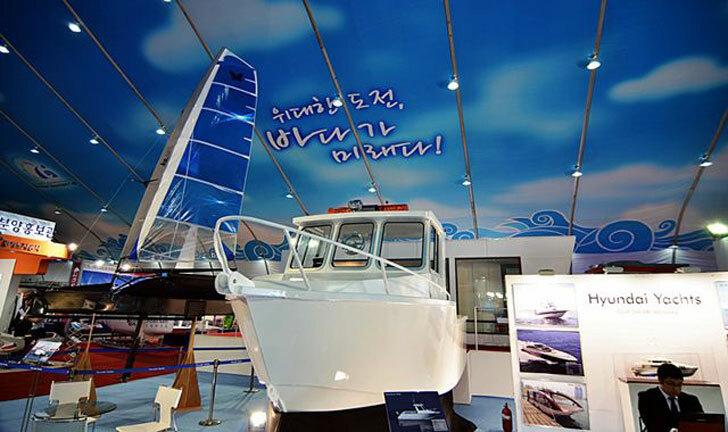 The show, which has become the third-largest boating show in Asia after Dubai and China, presents a good platform to position the country’s boating industry and related offerings and to capture the emerging market share in the South Korean and Asian marine leisure markets. Last year, more than 30 000 people visited the exhibition stands of 446 companies from various parts of the world which participated in the show. South Korea has been the world's leading ship-building nation for the past decade. South African exports in the boat-building and associated industries sector to South Korea totalled R3 billion from 2008 to 2011. Trade in sail boats that include yachts and vessels for pleasure, increased by 15% from R670 million in 2010 to R770 million in 2011. Exports of tugs and pusher crafts increased from R11 million in 2010 to R16 million in 2011. The annual events are aimed at promoting trade and diplomatic ties between South Africa and China. The Department of Trade and Industry (dti) has invited companies to apply for participation in the South African Expo and Investment Seminars to be held in China, in October. Companies targeted are those operating in the agroprocessing, chemicals, plastics, steel, aluminium, automotive, electro-technical, transport, mining and renewable energy sectors, among others. The expos will take place in Hong Kong, Shenzhen, Chengdu, Shanghai and Beijing from 20 to 31 October. Minister Rob Davies said the expo would provide South African companies with an opportunity to explore the market in China and gain inroads into the Asian region. “Businesses that wish to be part of these events should apply to the dti before 27 June 2014 and should have been in business for at least three years, possess a proven business track record and be competitive in the South African market. “The companies should also be export-ready, have exported previously, and have the capacity to timeously supply any export orders arising out of the visit,” said Minister Davies. Now in their 10th year, the awards recognise excellence within the Priority Pass network of over 700 airport lounges worldwide. The Shongololo Lounge at OR Tambo International Airport in Johannesburg has been named this year’s Best Airport Lounge in Africa and the Middle East region at the Priority Pass Lounge of the Year Awards. 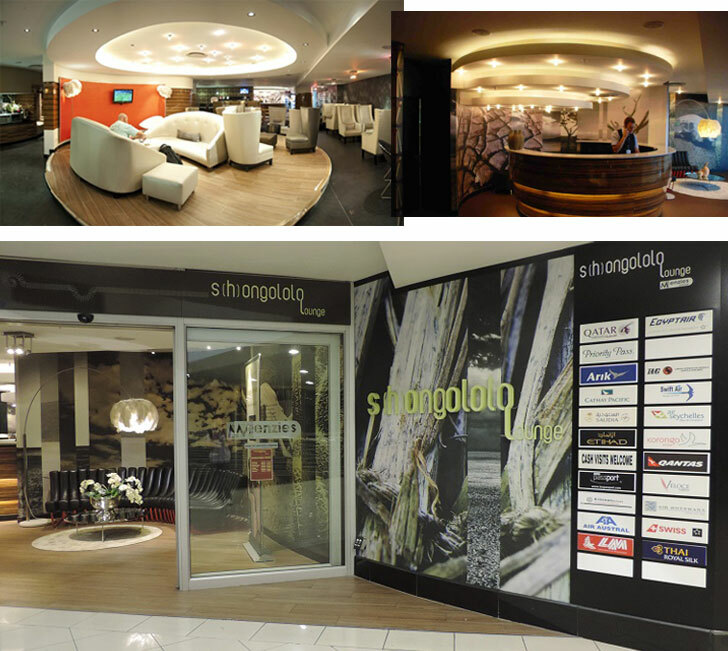 The Shongolo Lounge faced tough competition from 87 other Priority Pass partner lounges across Africa and the Middle East. The relaxed yet luxurious atmosphere along with the African themed decor, helped convince Priority Pass members that it was the best airport lounge out of the selection. The R48-million Memorial Acre, which houses the June 16 Memorial and Youth Institute, is situated opposite the Morris Isaacson High School in White City, Jabavu, in Soweto. The Gauteng Provincial Government recently officially unveiled the June 16th Memorial Acre in Soweto. The institute is expected to become a centre of memory and a resource for young people to contribute to community development through various youth developmental programmes that will be run from the institute, according to the Gauteng Provincial Government. The two-storey building has a unique design in the shape of an AK 47 rifle, which was a symbol of the struggle. Next to the memorial, a statue of Tsietsi Mashinini, one of the student leaders of the Soweto Uprisings, has been erected. The entrance to the institute has a section of glazed steel bearing the words: Struggle, Liberty, Freedom, June 16, Memorial Acre, Youth and Rise. The site is enclosed by a memorial wall which depicts the history of the area and the events of 16 June 1976. It forms a walkway for learners en route to the Morris Isaacson High School. Magda Kruger, Michaela Fletcher and Cara Gorlei showed the same tenacity, commitment and determination as their predecessors to ensure the country's successful title defence at the Muthaiga Golf Club in Nairobi. 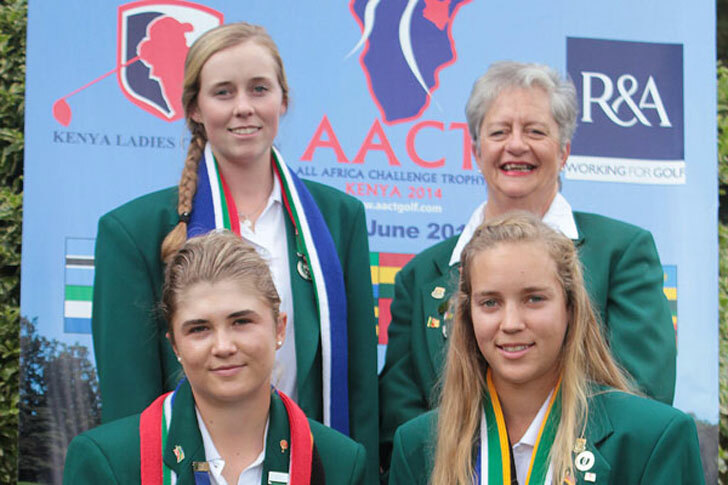 For the 11th time since the All-Africa Challenge Trophy (AACT) was launched in 1992, the South African women's amateur team claimed success in Africa's most prestigious biennial championship. Pietermaritzburg's Fletcher also claimed the individual competition on seven-over-par 220 after carding rounds of 79, 73 and 68, which was also the lowest round of the tournament. "We are very proud of this team, who did an exceptionally good job against some very tough opponents," Women's Golf South Africa president, Karen Olivant, said in a statement. "I am very proud of their performance and they were fantastic ambassadors for South Africa and Women's Golf South Africa."